How much propane is left in the tank? If you grill with gas this a question you will have often. There is an easy way to measure how much gas is left in the tank. 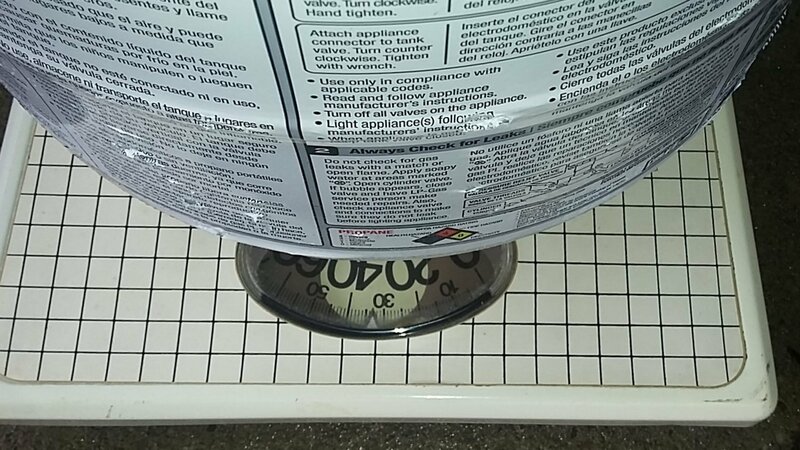 The most accurate way to gauge a 20lb propane tank is by weight so you will need a bathroom scale for this. 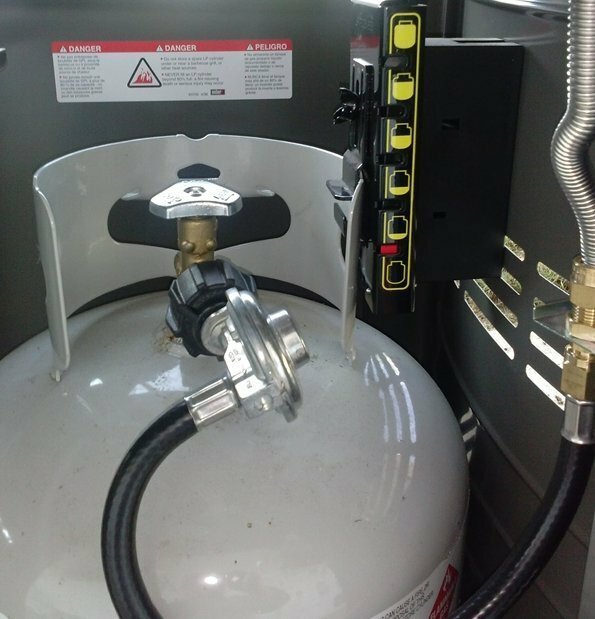 The first thing you will need to do is to turn the gas off, disconnect the hose, and remove the tank. First we will need to find out the empty weight of your propane tank. That is stamped on the top ring of the tank. 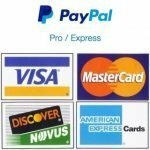 You will be looking for a TW and a number from 16 to 18. That will be the empty weight of the tank in pounds, pictured above. Since a full tank holds 20 pounds of propane add that TW number to 20. In this case 20+18=38 so this tank will weigh 38 pounds when full. 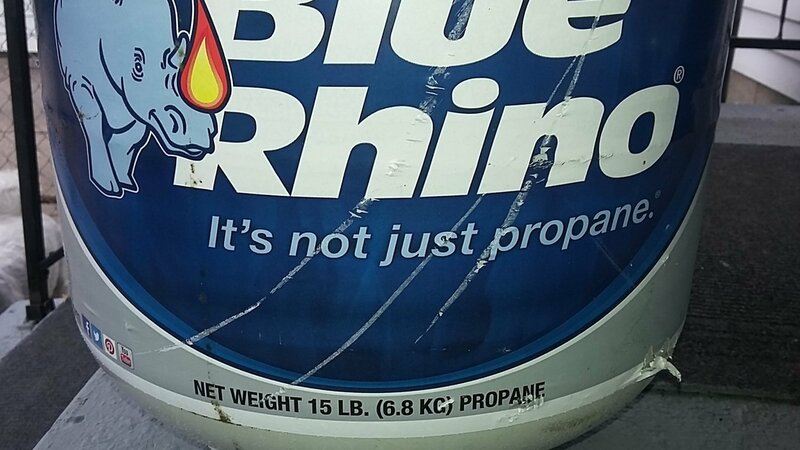 Note: if you have used a propane exchange they consider a 15 pounds a full tank. Keep in mind that you will not get that last couple of pounds of gas to heat your grill. 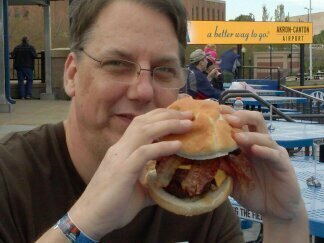 In fact when you get down to the 5 or 6 pound range your grill will not get as hot as it normally would. This should be your first sign that you need to change your tank. This is also when an inline propane tank gauge needle would begin to move off of full. Now we take the tank and place it on your bathroom scale. Subtract the empty weight and that is approximately how much gas you have left. There are propane tank scales specifically made for gas grills that will mount under your grill eliminating the need to remove the tank. 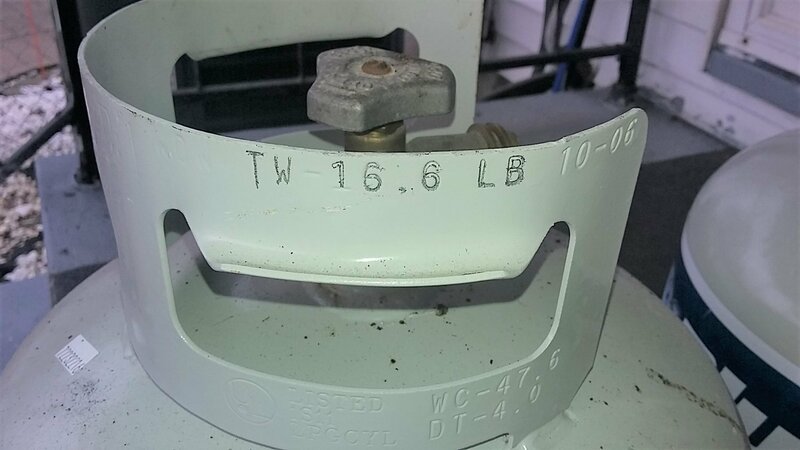 Here is a link to our article on how long your propane tank should last. There is a grilling gadget that does exactly the same thing without removing the tank from your grill.